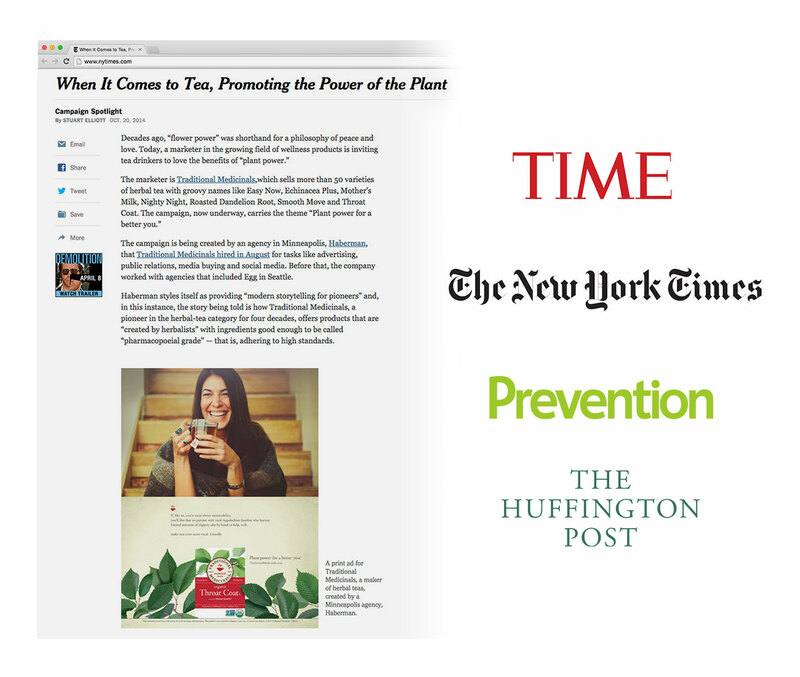 When Traditional Medicinals launched the wellness tea category 40 years ago, there was no competition. Today there’s plenty—and consumer demand for plant-based products of all kinds is surging. 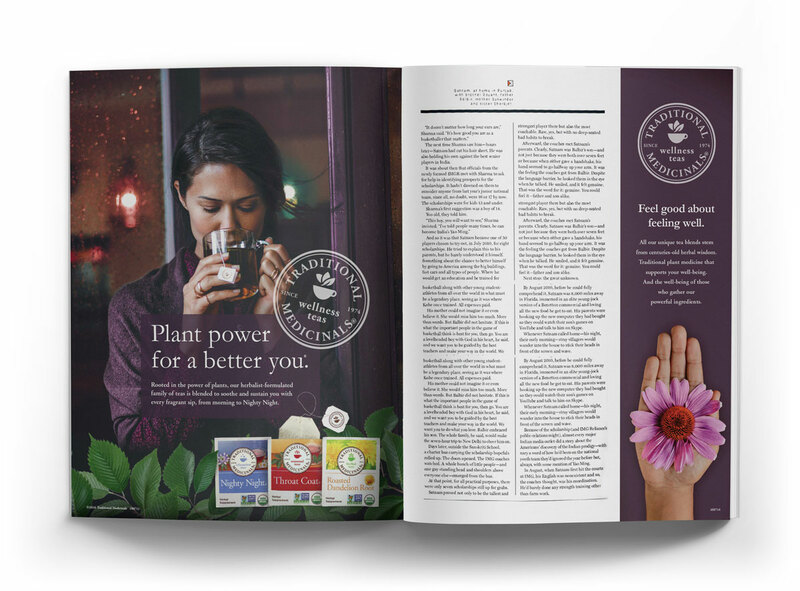 To help these pioneers stake their claim, we developed an integrated campaign propelled by authentic, branded content that invites everyday tea lovers to connect with the power of plants. 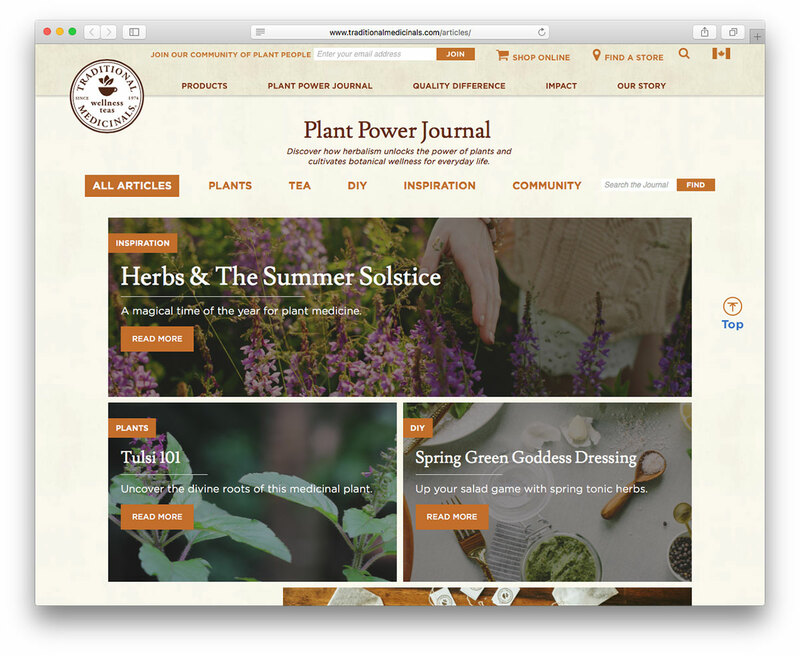 hub, the Plant Power Journal. Since we began working together, the brand’s digital fanbase has grown 160%. To boost brand consideration, we cultivated a network of influencers whose audiences are exactly the people we want to reach. Our partners share the Traditional Medicinals story on blogs and social posts, giving our target consumers more reasons to think about—and connect with—the brand. Our goal: make sure people think of this brand as the leader in plant-based wellness. It’s a cultural trend we got ahead of in our media coverage, and that was crucial to establishing Traditional Medicinals as a driving force in the growing field.